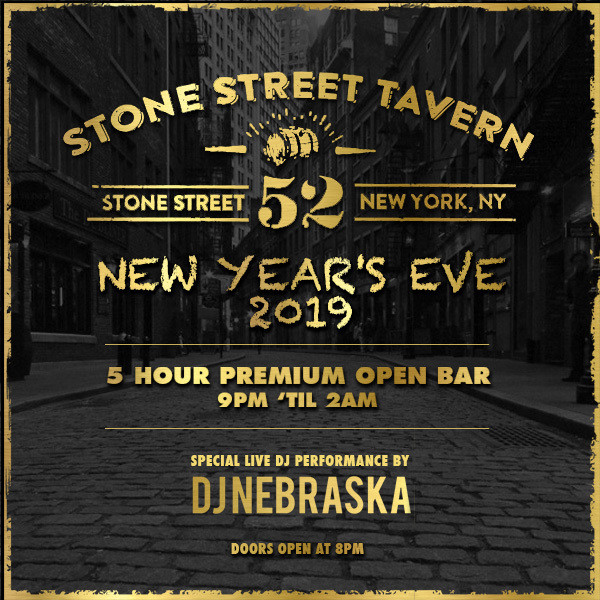 Old New York gets a high-voltage party makeover this New Year’s Eve at Stone Street Tavern, the Financial District’s favorite rustic-chic, vintage-inspired haunt. Drink up from the five-hour premium open bar, sample complimentary early evening hors d’oeuvres, and get swept away by this charming hotspot that’s a throwback to the elegance of yesteryear. You and your cohorts can sample all the liquid delights at this party mecca with a five-hour premium open bar. Complimentary early evening bites will fuel the night, while festive party favors will keep you in a NYE state of mind. One of NYC’s top-tier DJs will mix the best Top 40, house, and hip hop tracks all night long. Midnight won’t pass you by with the live countdown, offered alongside a complimentary champagne toast. Looking for the white-glove treatment this NYE? 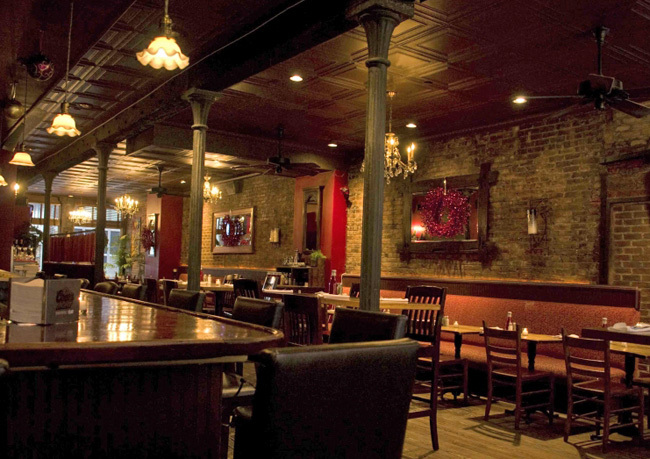 Take out a VIP package for luxuries like table service, bottle service, and more. 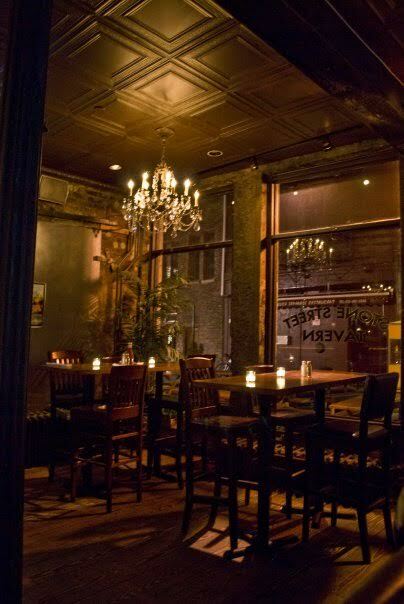 We may be entering a New Year at this party, but we’re turning the clock back to the 1920s at this prohibition-inspired bar, featuring exquisite wood paneling, antique chandeliers, and tons of dark wood. 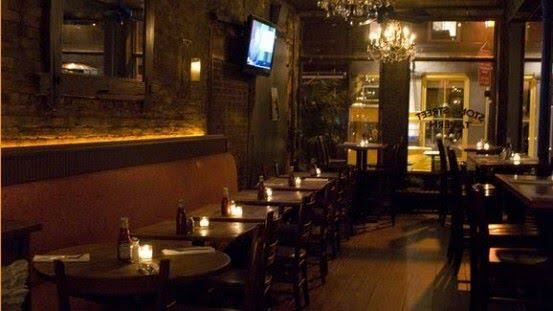 The quaint cobblestone street that houses this intimate hotspot was once called “the first paved street in NYC,” cementing its place in the city’s history. 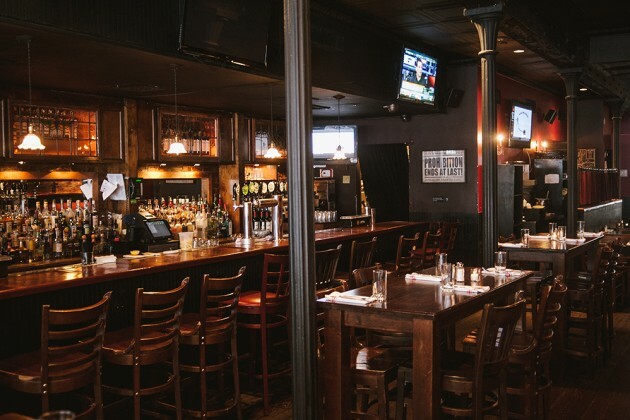 A refreshing tonic from the vapid bars populating the Wall Street district, Stone Street Tavern offers exposed brick walls, rustic beams, and whiskey-and-cigar-style aesthetics. The menu will impress foodies, offered in party platters at this glittering bash. 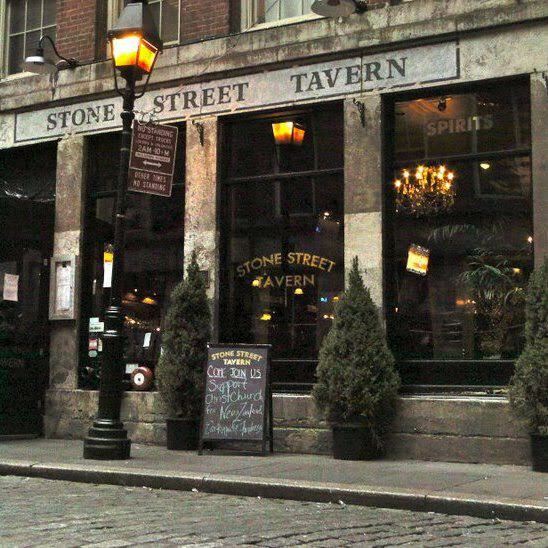 Don’t wait on your chance to see this epic party – at Stone Street Tavern, you’ll be partying amid New York City history.